On this very day (February 15th), 2418 years after the city of Athens sentenced Socrates to death for corrupting the minds of youth and for impiety (399 BC), Rotary had the audacity to hold its 19th annual Ethics Symposium in the City of Madison. President Jason Beren gave a heartwarming welcome and an overview of the many ways Rotary contributes to the betterment of the world. 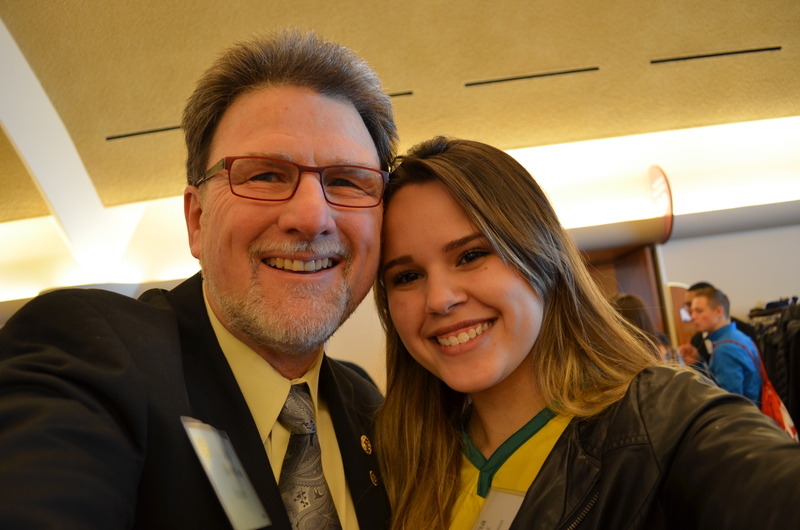 He invited students to become a part of Rotary beginning with Interact. 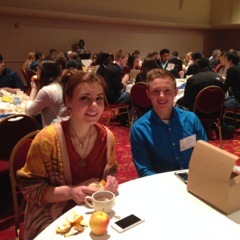 Nearly 200 students representing 11th graders from 19 area high schools met at the Monona Terrace to learn how to think about issues beyond their own welfare—and how to act ethically. 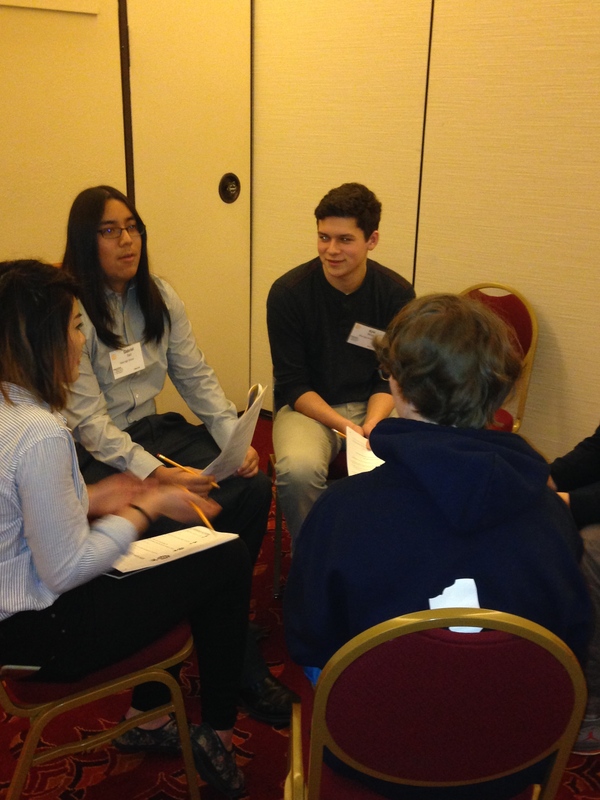 Students were assigned to various groups throughout the Symposium. This scramble allowed them to have discussions with students from various backgrounds. 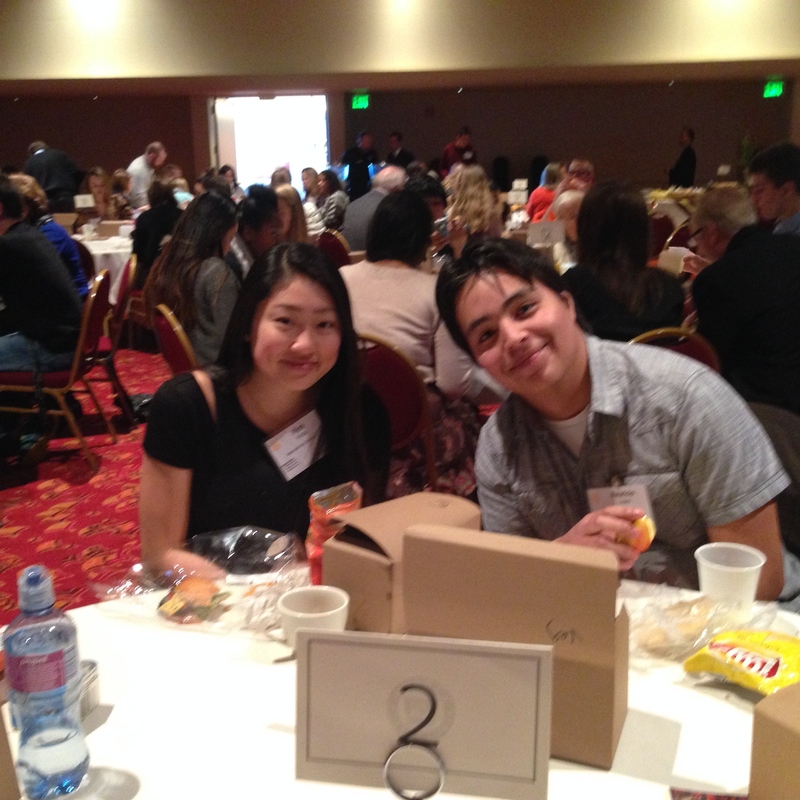 Students represented large urban schools and smaller schools, some from rural areas; students whose families are first generation immigrants, or are themselves immigrants; privileged and underprivileged; well-represented in society and others who feel under-represented; and students from different racial and ethnic backgrounds. We are faced with dilemmas every day. Some dilemmas are large, some are small; some are personal, some involve a community; some require an immediate response and some take time to resolve. Many are gut-wrenching and can either strengthen a relationship or destroy it. Some keep you in a group, others make you an outsider. Often dilemmas do not have a right or wrong answer. 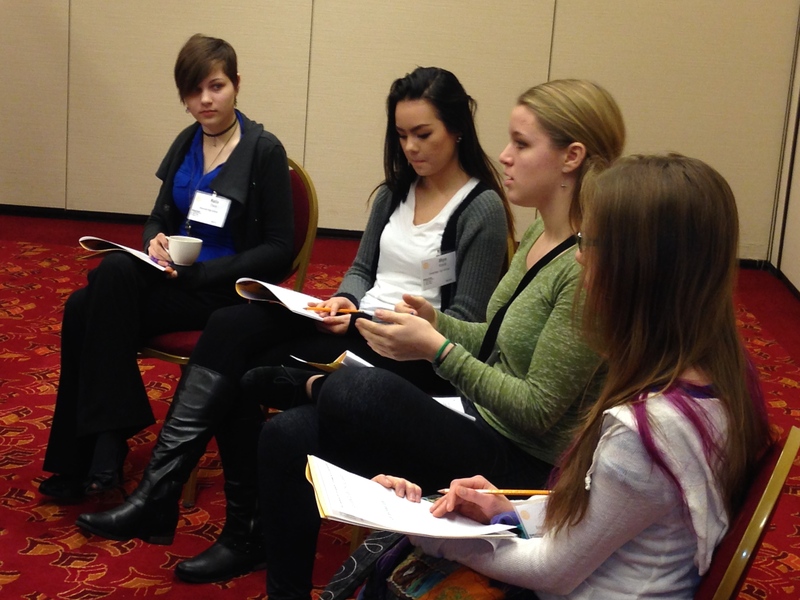 Ethics training provides a framework to analyze how to arrive at a socially beneficial action. Our own Rotarian, Anthony Gray, CEO of the Institute for Global Ethics, led the call and over 50 volunteers carried the Rotary virtual “banner.” Among the Rotarians were seasoned ethicists who had worked with the Symposium for several years, and those who joined for the first time. 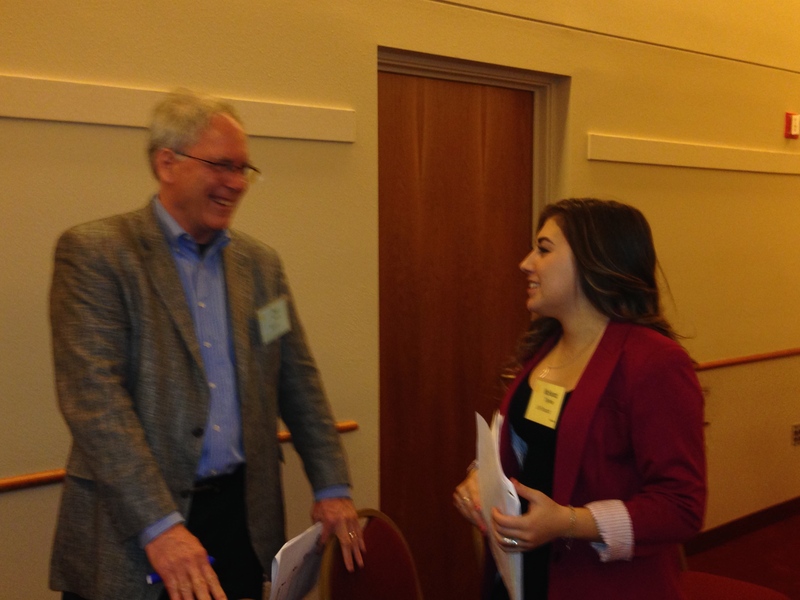 We were privileged to be trained in an ethical approach prior to the Symposium. This training provided a well-organized process for the day and helped us utilize each session—essential for each breakout group of 20 students. You cannot fool students. They would know if we had been unprepared. Clearly, we passed the test. 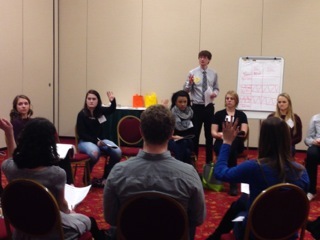 The warm-up to ethics training began with performances by college students from the Edgewood College Theatre. These topics introduced dilemmas related to how to make transgender students safe in locker rooms; effects of racial profiling; and a reaction to a request for a job recommendation. Recognize an ethical issue—a dilemma cannot be solved until it can be identified. Obtain information about the situation—get facts and collect data. Act consistently using your best judgment with the data/facts available. Reflect on your decision. Be willing to adjust a decision as you obtain more data/facts and reactions of others. Yield on your ethical judgments, these will govern your conduct and become your character. 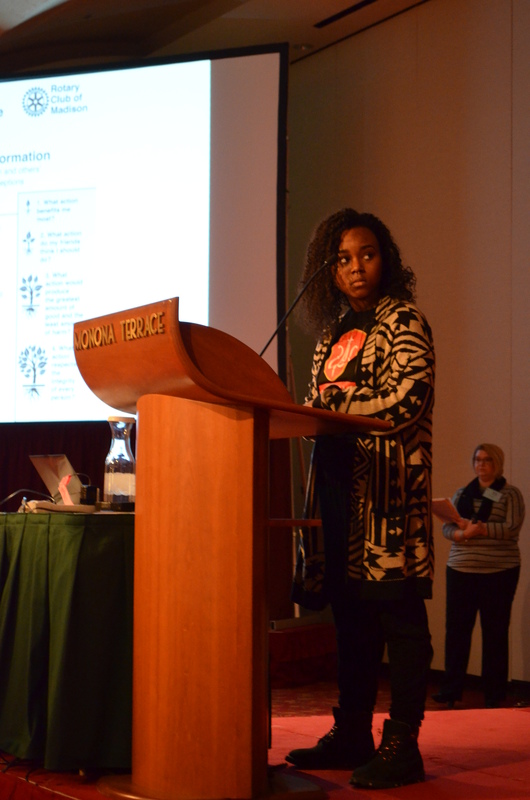 The dilemmas presented in the Symposium were issues from actual school board records. They included cheating, racial disparity, and violence in schools. This generation of students has lived with principles of “duck and cover;” that is, how to conduct themselves when an “intruder” is in or near their school and their school is in “lock-down.” This is evasive language which really means, if someone exhibits threatening (even life threatening—e.g. an armed person) behavior, drills are used to teach students and teachers what they each can do for protection. The final dilemma of the day concerned a proposal to have teachers with a concealed carry license and annual additional mandatory training with local police to voluntarily carry guns to school. Would this make schools safer or give students the perception of being safer? 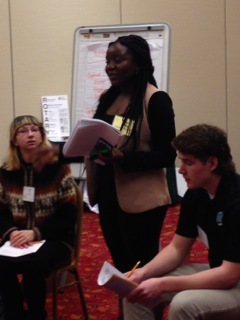 In this exercise, each student was to put herself/himself in the role of a student representative on the school board and represent the student body. After the discussion that included arguments for and against the proposal, the representative had to vote. In the session that I attended, of the 18 students, the “student body” voted 17:1 to reject the proposal and maintain the current “no firearms” policy. The trauma these students expressed, and continue to feel, about the gunfire they experienced has defined their high school education. Eventually, the student who would initially vote to allow teachers to carry guns under these circumstances was willing to consider other safety measures that could be put in place instead of guns. The value of this exercise, and all of the others throughout the Symposium, was that students felt safe in expressing their shift in thinking. Many students shifted from their “gut-reaction” when they reported their final decision. Teachers recognize that much of their own learning comes from their students. This was certainly true at the Ethics Symposium. By the end of the Symposium, students were asked their reaction. Their experiences were wider than “this will be good on my college application” (which it undoubtedly would be) to the benefit of having their views validated. They appreciated that the Symposium was not a lecture course, where they were told how they were to do something. They struggled with topics and had to engage in dynamic groups, sometimes with others from very different life experiences. They appreciated the respect they received from offering different perspectives. 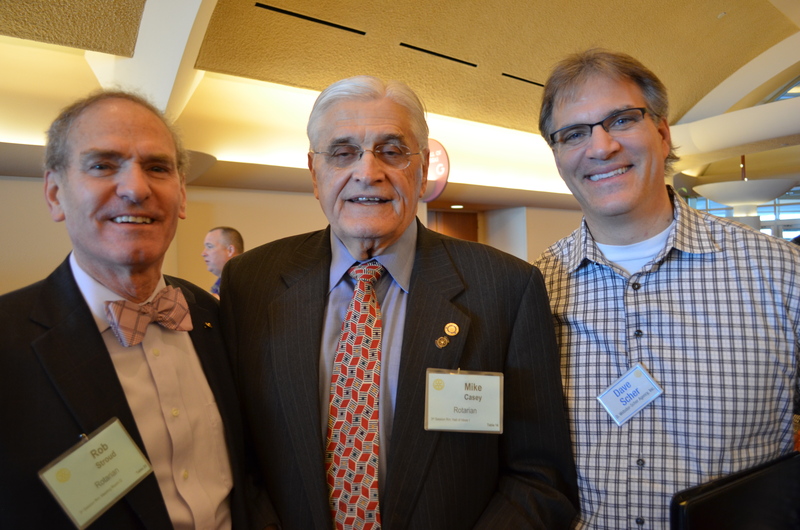 Some may accuse Rotary of impiety because these students were not entirely satisfied with the status quo. If teaching these students how to think rather than what to think is corrupting the minds of youth—then we would certainly be guilty. We came away with the satisfaction that these students feel they have obtained tools to help them practice ethical behavior. 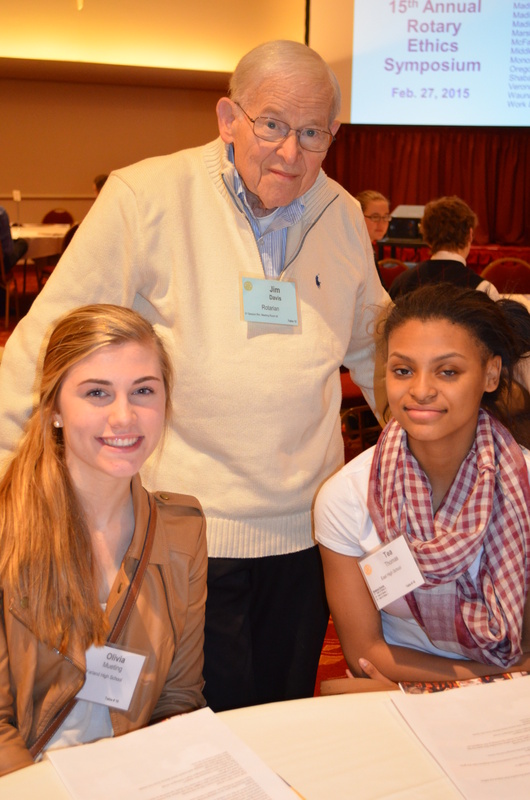 Dan Mahoney, Counselor at Memorial High School, and a staunch supporter of the Rotary Interact Program, said that over the years, he has witnessed the value of the Ethics Symposium. For students who attend, it has been life-changing (and for the good). 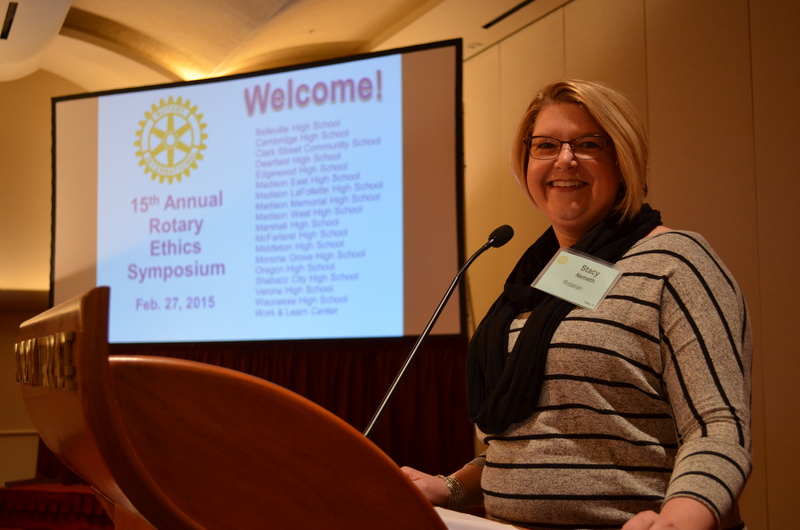 The 15th Annual Rotary Ethics Symposium Expands Students’ Bandwidth for Ethical Decision Making! 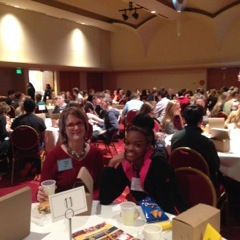 More than 200 students from 18 Dane County high schools were challenged to examine the decisions they make every day in a new way Friday, February 27, at the 15th annual Rotary Ethics Symposium at Monona Terrace. With dramatic performances on edgy teenage issues – teenage pregnancy and a father confronting his adolescent son about drug use – members of the UW-Madison First Wave Hip Hop Theater, a cosmopolitan multicultural artistic program, set the stage for high school students. And First Wave led the students through the R-O-T-A-R-Y Framework for Ethical Decision Making, which is a six-step process of thinking through a dilemma and making a decision. Then the high schoolers went to work. They were confronted with two dilemmas: Hostile Messages and an Affirmative Action Proposal. 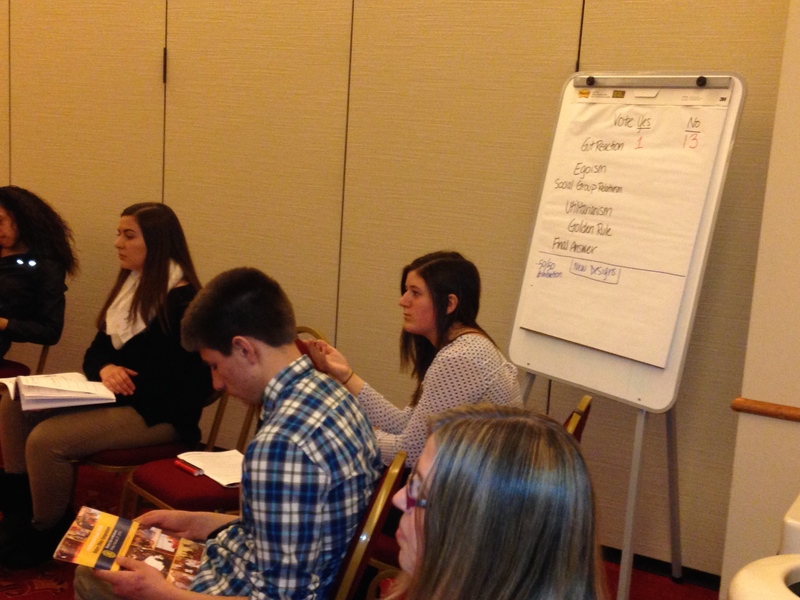 Students dispersed into workshops to learn the practical application of the Rotary Framework. 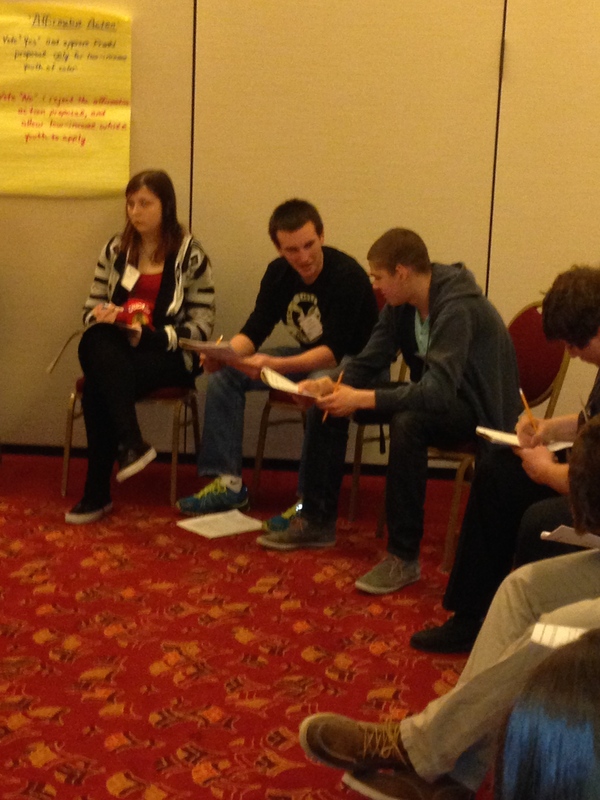 The sessions were designed to group together students from a variety of high schools. “Once students were in the smaller groups, they were willing to delve into the issues,” said Sophie Chadli, 17, a senior at Madison’s Shabazz High School. At first, many participants felt isolated. They later discovered a new-found freedom as they listened to each other and even gained the confidence to rethink their stand. It was a new learning experience, most students agreed. 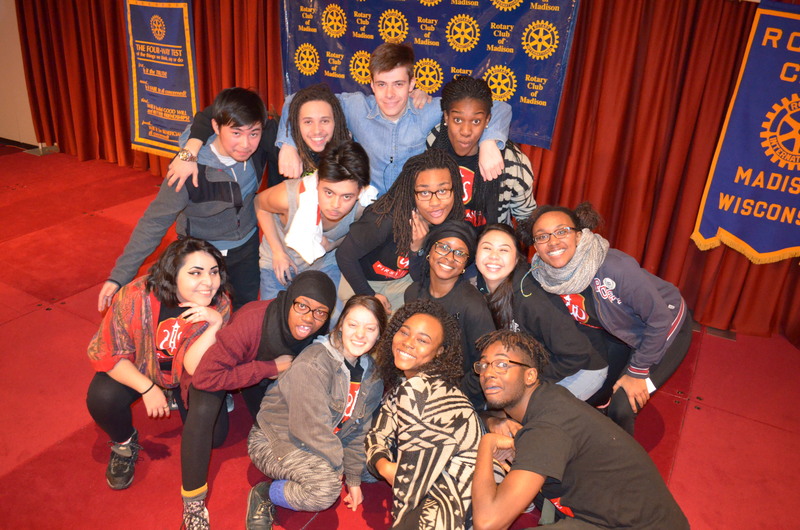 The students’ willingness and enthusiasm to embrace a new experience impressed Rotary leaders. Sarah Gempeler, 20, a junior at Edgewood College and a Rotaract member, grew up in Monroe, a south-central Wisconsin city of about 45,000 residents. 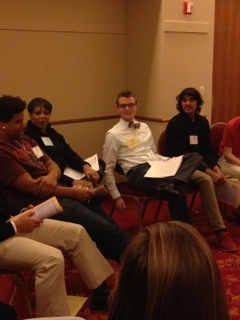 A first-time volunteer for the symposium, Janet Piraino, a Rotary member and district director for a Wisconsin representative, praised the next generation of Wisconsin voters. 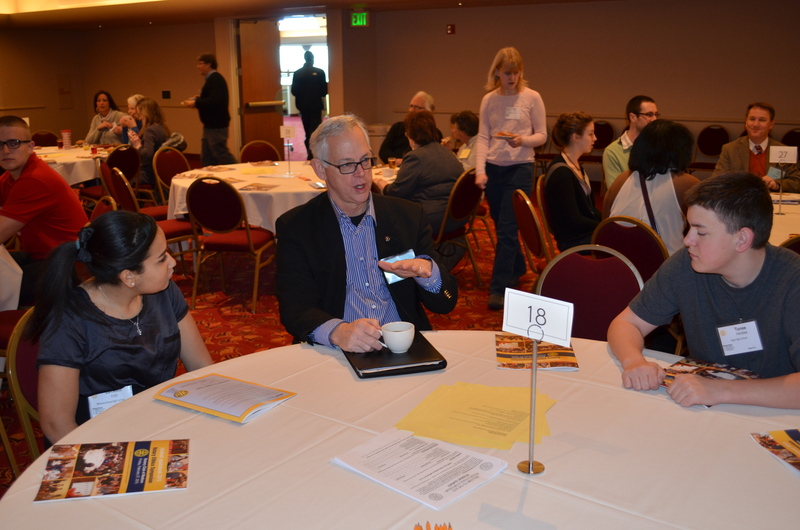 Discussions on controversial topics showed that students are listening and collecting information as they go about their daily lives, said Steve Johannsen, a Rotary member and Madison business advisor. 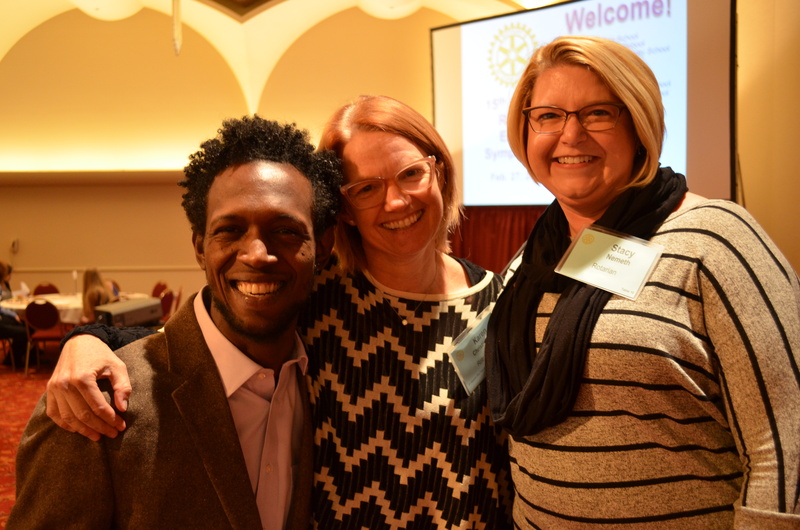 Rotary leaders are willing to assist high schools students and faculty with developing an “Ethics in Action” project at their schools, said Stacy Nemeth, Chair, 2015 Rotary Ethics Symposium. 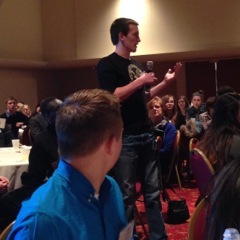 Monona Grove High School Principal Paul Brost led a discussion with judicious students from his 925-student school. Students were enthusiastic about working with trained facilitators – Rotaract students and Rotary leaders – to deliver the project to Monona Grove. 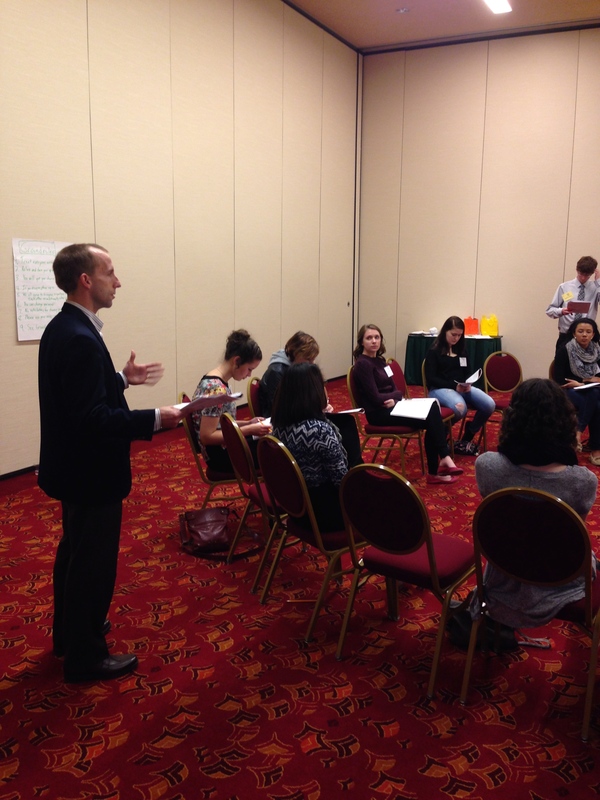 Throughout the discussion, Brost encouraged students to take a leadership role. “I’m willing to preload the idea at a staff meeting,” he offered. “If it’s student-led, it’s up to you to take the lead and find a coach or a teacher willing to make it work. It needs to be bite-sized and meaningful. 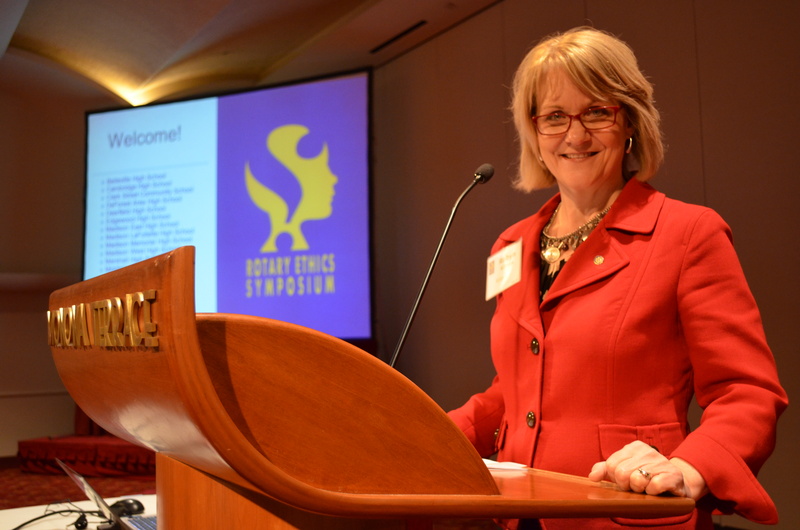 Rotary member, Donna Beestman, is a veteran participant at the Ethics Symposium. She praises students and school leaders for their dedication and applauds the annual work of the more than 50 Rotaract and Rotary volunteers. “It’s like students go through a transformation in the course of four hours,” she said.